What a difference the diminishing light of the moon makes as polar night becomes well established for the next 4 months. Here is something anyone can work on as the moon orbits the Earth so a unique place to see the phases evolve continuously for periods of the moon's orbit. becomes well established for the next 4 months. unique place to see the phases evolve continuously for periods of the moon's orbit. Won't dignify the 'cloudy' bit but unlike lower habitable latitudes, the moon's orbital motion is constantly in view for periods or days at the South Pole just as I mentioned in my previous post. South Pole just as I mentioned in my previous post. horizon for a couple of weeks at a time. Next time you try to challenge me on a 100% observational certainty then make sure you read what I wrote first before responding. The bigger insight is that the Sun remains constantly in view for half the Earth's orbit from Equinox to Equinox at either poles and out of sight for the other half. As the Earth travels through space, the entire surface turns parallel to the orbital plane so that from the March Equinox the South Pole has turned over 45 degrees to the circle of illumination so with each passing day, the area where the Sun is constantly out of sight at the South Pole expands until a maximum circumference on the June Solstice (Antarctic circle). Two distinct rotations corresponding to two distinct day/night cycles for observers to enjoy and where these rotations combine we get the seasons. The South and North poles are great places on Earth to come to know the dynamics behind the seasons but the old saying applies of leading a horse to water. 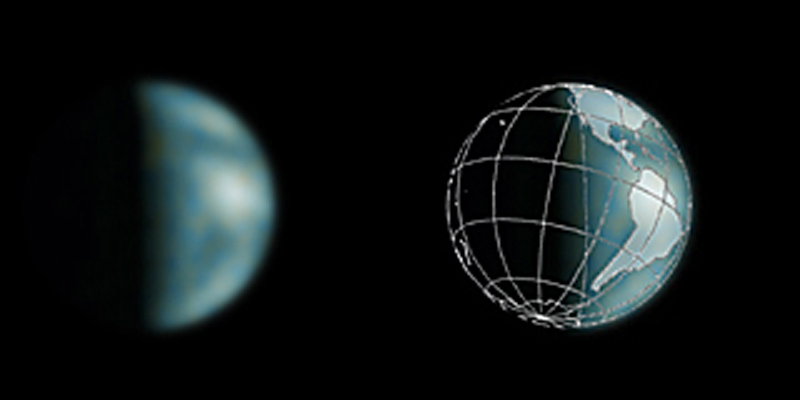 orbit from Equinox to Equinox at either poles and out of sight for the other half. expands until a maximum circumference on the June Solstice (Antarctic circle). observers to enjoy and where these rotations combine we get the seasons. dynamics behind the seasons but the old saying applies of leading a horse to water. Which can be done more easily from your garden than the South Pole. After two decades on this newsgroup I don't mind posting original astronomical material in a forum that is top heavy with empirical theorists as I do it with the same inspirational experience that encompasses all creation from the smallest to the largest. It is a mutual kiss between an individual life and the greater life of the planet and celestial arena and is there for people who are not intellectually self-absorbed.